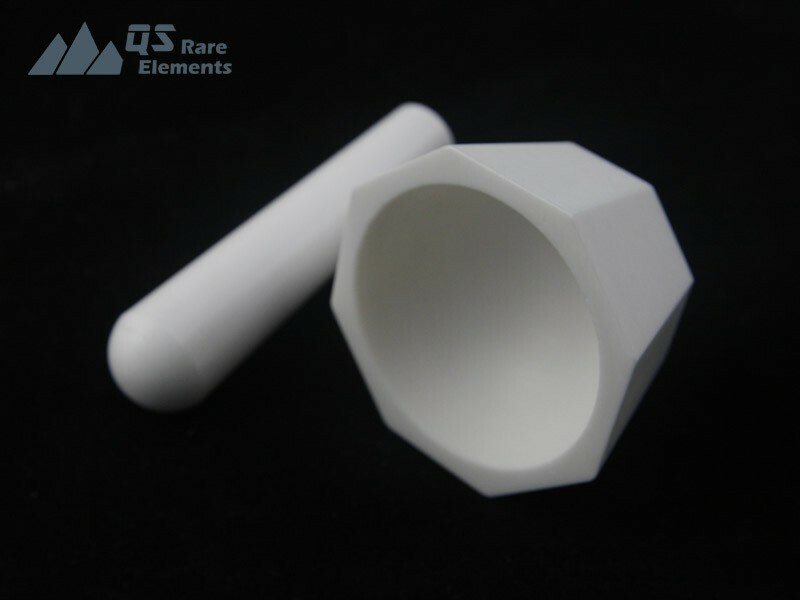 The high density and wear resistance of zirconia making it an idea material for grinding equipment such as mortars and pestles. 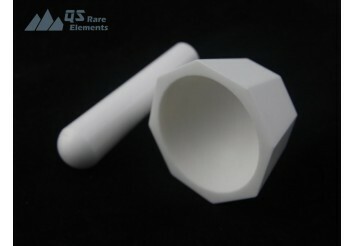 Compared with alumina and agate mortar set, the YSZ zirconia mortar and pestles are much more durable. 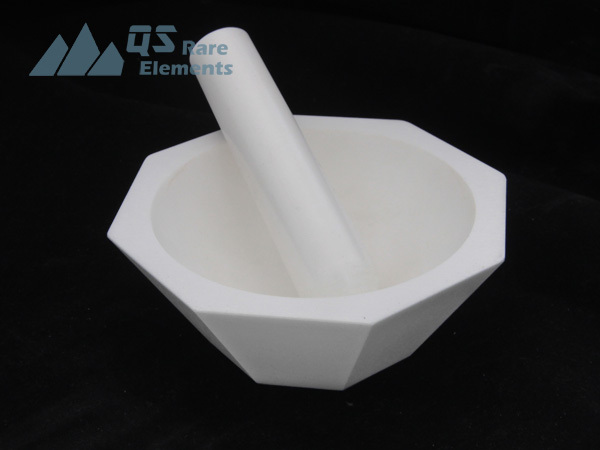 Mortar made by zirconia also has better corrosion resistance to keep low contamination for the material processed. 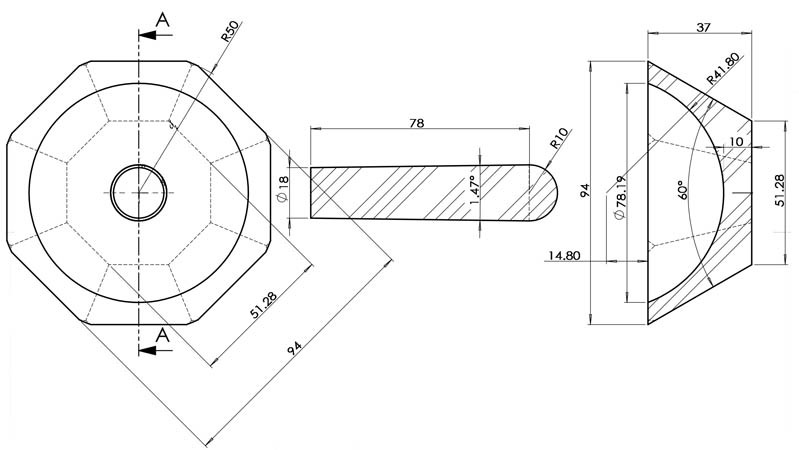 One more important application is for HF. 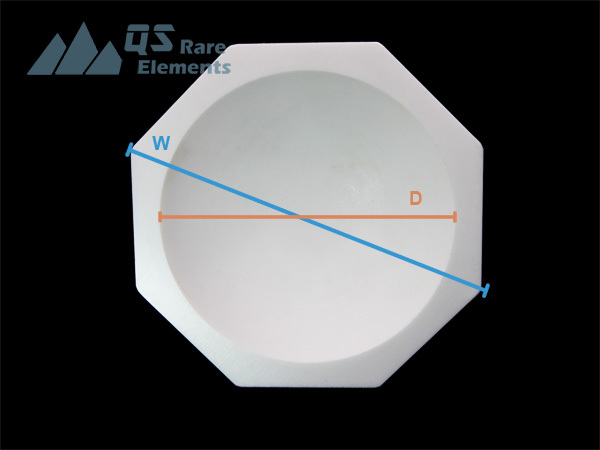 Zirconia 's inertness to HF and other acids make it superior to Agate and other Al2O3/SiO2 based materials. 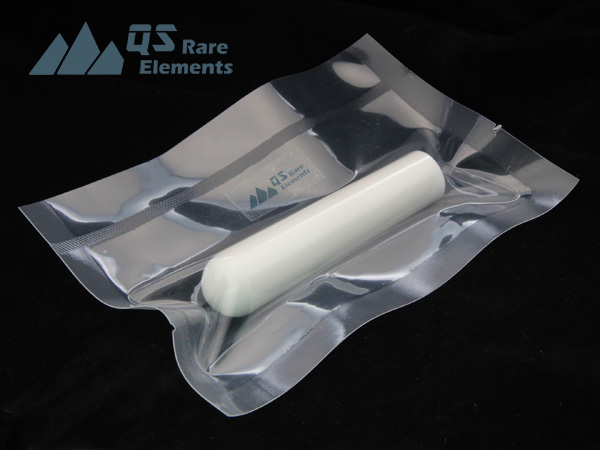 QS Rare Elements is a professional custom manufacture for advanced ceramics including zirconia (yttria or magnesia stabilized). 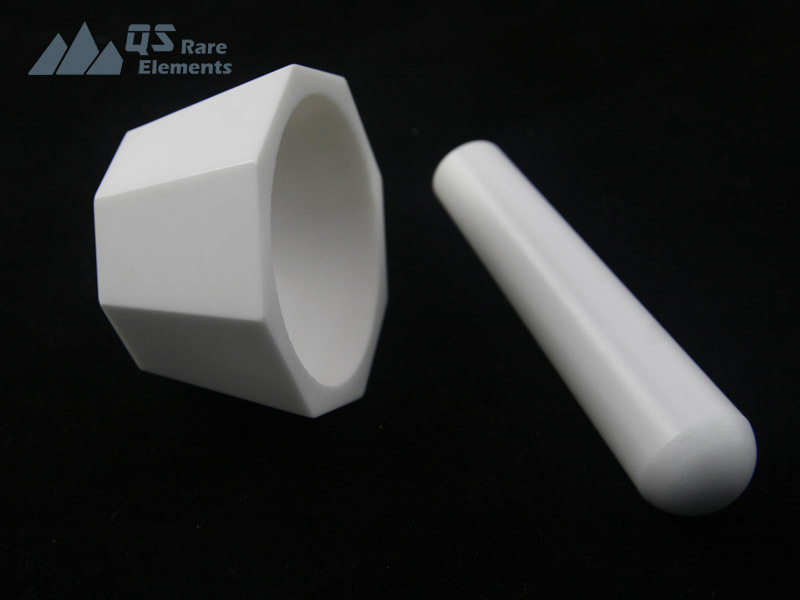 Our machining and surface grinding equipment provide accurate dimensions for Yttria Stabilized Zirconia (YSZ) custom made ceramic parts and shapes.